[B]eginning in February 2013, Pechi represented to her manager as well as other senior group management that [a certain] client&apos;s interest in this and other private transactions was flagging. Credit Suisse scheduled in-person meetings with the client in an effort to revive interest in the deals. Pechi was deliberately evasive with management regarding the status of those meetings and whether high-level decision-makers on behalf of the client would attend. Based upon Pechi&apos;s representations, senior Credit Suisse employees did not meet with the client. 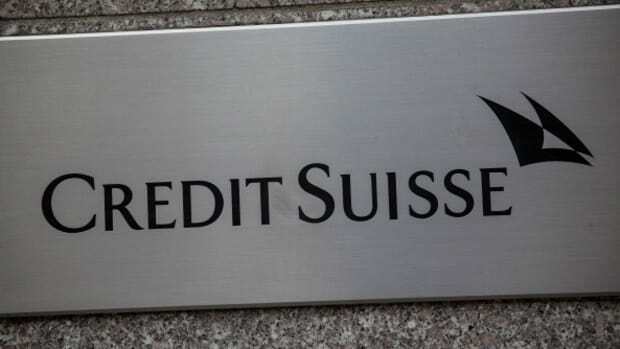 However, as Credit Suisse later discovered, Pechi attended two meetings with representatives of the client, at least one of which was attended by high-level decision-makers on behalf of the client, as part of the above-referenced private transactions. Upon information and belief, Pechi held these in-person meetings in an effort to shore up her relationship with the client in preparation for her departure and to explicitly discuss moving its business to Pechi&apos;s new firm. During this "vacation," however, Pechi entered the office at night, when she was unlikely to be observed, and printed out critical transaction documents. ... Credit Suisse records show that Pechi arrived at the office after 6:00 p.m. on March 25, 2013, during her purported vacation, printed these documents between approximately 6:30 p.m. and 8:30 p.m., and left at approximately 12:40 a.m. on the morning of March 26. ... During the first day she returned to the office following her time off, on April 1, 2013, Credit Suisse records show that Pechi printed both her "Pipeline" (a log of upcoming transactions that Pechi and Credit Suisse were working on) and her "Blotter" (a detailed history of transactions that Pechi worked on while employed by Credit Suisse). Anyway, that&apos;s more or less what Pechi took: her Pipeline, her Blotter, some databases of publicly available information,3 and "her client list at Credit Suisse, contacts with other Credit Suisse clients that she did not personally cover, and the names and contact information for other important contacts in the Emerging Markets space (including the attendees at an industry conference)." Basically the pseudoscientific apparatus of financial product sales: blotters and pipelines, and, one can only assume, a couple of dashboards and maybe a heat map as well. In other words, phone numbers of people she&apos;d talked to and lists of deals she&apos;d worked and was working on.4 That doesn&apos;t sound like it&apos;d need to be kept all that secret from her? After all, she was there. I suppose before the internet bankers had to, like, remember what deals they were working on? Also it was probably harder to catch them stealing stuff. Why is Credit Suisse suing? The complaint says "Pechi&apos;s wrongful acts, if allowed to continue, will seriously compromise years of substantial investment and effort by Credit Suisse in the goodwill and relationships cultivated with its customers," but: why? I can&apos;t imagine a client getting mad at Credit Suisse because they let the client&apos;s salesperson abscond with his telephone number. Credit Suisse investigators, through a third party provider, were able to conduct a search of some of Pechi&apos; s personal effects at her home on or about April 12, 2013. During this investigation, Credit Suisse discovered Credit Suisse documents and work emails on Pechi&apos;s personal computer and Blackberry, which still contained her Credit Suisse account. So that&apos;s a little scary, though Credit Suisse still has nothing on Pechi&apos;s new employer. The last guy to (allegedly!) steal information from Goldman, HFT algorithm programmer Sergey Aleynikov, spent almost a year in jail on a federal criminal conviction that was ultimately thrown out, and is now gearing up for a separate state prosecution.6 Goldman seem to be a lot better at this game than Credit Suisse are.7 Or else stealing trading code is a bigger deal than stealing blotters. That could be. 1. "Sorry, boss, but the latest from that client in Tuscaloosa is that they&apos;ve totally lost interest. No, they&apos;re not available to meet. I know, weird, right? But they were very clear that we were never to call them again. Oh well." 2.Though maybe not on sales desks ZING. Although these databases contained information culled from commercially available sources, that data had been accumulated over the course of a long period of time during a substantial vetting process to discover potential companies that would service Credit Suisse&apos;s client relationships. Given Credit Suisse&apos;s internal policies, there is no question that the databases that Pechi mailed to herself were and are the property of Credit Suisse, developed by Credit Suisse using its own resources. 4.Oh and some deal documents? The complaint mentions "highly confidential deal-structuring documents from an ongoing, sensitive transaction." Is that a big deal? Like, presumably if the deal structuring terms were material and novel she&apos;d remember them, no? I guess maybe not. Possibly relevant is that she was paid $950,000 in 2012: does that make it more or less likely that she would understand the structural details of deals she worked on? 5.Technically ten days after. Still, I&apos;m clinging to it being at 5 a.m.
6.In Googling him I learned that you can contribute to his legal defense fund in bitcoins, which seems about right. Give it some thought if you&apos;ve got some spare bitcoins. 7.On a personal note, I guess it&apos;s in my best interests to say that of course *I* didn&apos;t abscond with any databases or anything when I left Goldman Sachs, for all the obvious reasons (I didn&apos;t want them, GS would hunt me down and kill me, etc.). I have few regrets about this though I do occasionally miss one database that I started and maintained myself: the manila folder filled with printed copies of Worst Pitchbook Pages, which we&apos;ve discussed here before. I trust that it is still being maintained and updated, and that the supply of new material has not slowed. Also, if you have any nominees for a new version, send &apos;em my way.